The mum-of-four moved with her husband Wayne and their little ones to the US last summer, and she’s recently returned for a short trip to the UK. 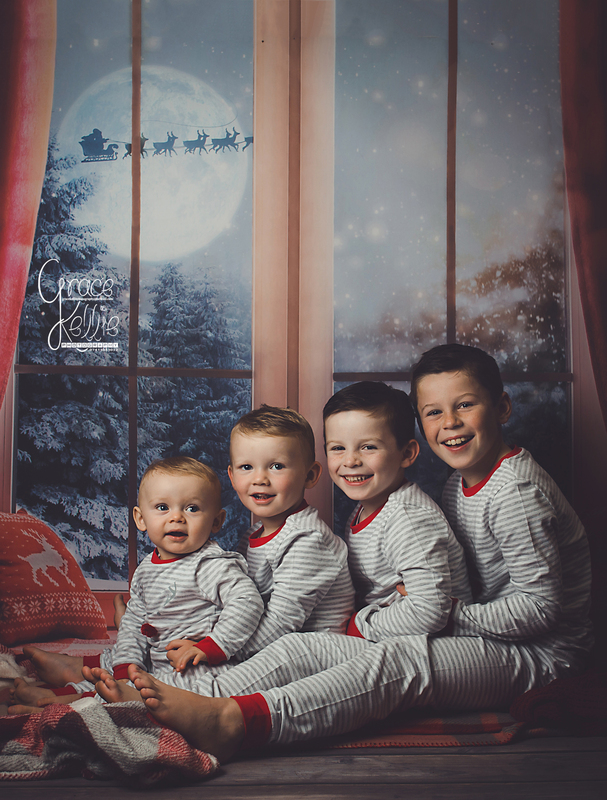 During her visit, Coleen chose to take her four boys to get their photograph taken for a lovely Christmas card that she’ll send to family and friends. For the festive snap, turns out the mum decided to jump on one of this Christmas biggest trends – matching family Christmas pyjamas. The cute Christmas tradition is already popular in the US, but it’s seen a rising interest in the UK recently with all the biggest retailers offering adorable options for family to match on Christmas Eve or Christmas Day. And fans couldn’t get enough of the sweet moment, with many gushing on social media about how cute the boys look. One said: ‘Absolutely gorgeous!’; while another commented: ‘Beautiful photo of four handsome boys’. A third added: ‘Gorgeous boys, this photo is defo one for the wall ❤️’. Kellie Stamper, Director of Grace Kellie Photography where Coleen decided to do the sweet photo shoot, said: ‘It’s always a pleasure to have Coleen and her four adorable boys back in my studio. The youngest two were just days old when I first photographed them, so it’s lovely to see how much they’ve grown. Coleen often shares cute snaps of her boys on social media, and more recently shared a picture of the whole family out. Captioning the snap, she simple wrote: ‘❤’. Do you think you’ll follow the matching family pyjama trend this year? Head over to our Facebook page and let us know your thoughts!